The article includes a question and answer session with the author addressing key points from the book. One topic that is discussed is that of “unplugging” and how our phones keep us up at night. This is a topic I see often in sleep news. Not only are we so accustomed to staying connected via our smart phones, tablets, laptops, etc., social media provides an outlet for us to waste precious time that could otherwise be spent sleeping. 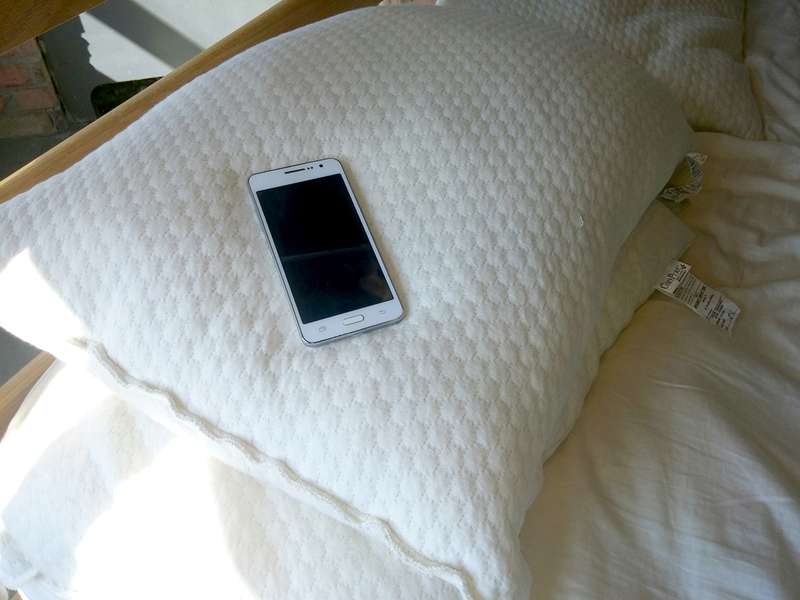 The author suggests that sleeping with your smart phone may not be so smart. Rather putting our phones “to bed” in another room will allow us to sleep better. I know that having my phone on my nightstand is a horrible idea. Not only am I distracted when it lights up, buzzes or dings, I can’t always resist the urge to check social media one last time or type out one more email or listen to one more song. Going to sleep without your phone is not only a good way to get to sleep faster it also gives your mind a much needed break from the constant communication to which we’ve become accustomed. Katy Hall, Managing Features Editor, Huffington Post, cites in her 2013 article, “How Mobile Phones Affect Sleep,” a study concluding sleeping near our phones also has negative physical implications even if we don’t touch it. “If your phone wakes you up in the morning, it may also be keeping you up at night. A 2008 study funded by major mobile phone makers themselves showed that people exposed to mobile radiation took longer to fall asleep and spent less time in deep sleep.” Her article also discusses the aforementioned “need” to stay connected and how it is costing us valuable sleep. An additional resource cited in this article indicates that “nearly three-quarters of young people fall asleep each night with their phones within reach.” We may all have a hard time convincing a teenager that they will actually live through the night without their phone but it really is a habit to be discouraged. Older (and wiser) cell phone users may be easier to convince that “unplugging” for eight hours each night may be well worth it. There is plenty of research, articles and books that discuss healthy sleep habits. Taking a break from your electrical devices is certainly a step in the right direction. Once you break that habit, take the time to research the importance of the materials you are sleeping on. Many mattresses and bedding materials are just as full of junk as your social media. Sleeping on natural latex and using organic bedding not only provides better, but a more healthful, sleep!